You might not have noticed, but a fresh version of Google Play Services started silently rolling out a few days ago. Google I/O came and went without an Android version bump because Google wanted to send a message: Google Play Services is the single most important APK on your device. It was recently used to roll out Google Play Games, cloud app data storage, and the fused location provider. Google can't get OEMs to update Android versions, but there's no way to stop a Play Services update - they're silent and automatic. So, whenever technically possible, that's where Google will be sticking major new features from here on out. Play Services is now a big deal. Got it? Good. Let's dive right in. Ok, so, there is this crazy new thing called "Games_pano" which will show your invitations, recent games, and have game discoverability lists like "popular multiplayer" and "featured games." Most of these are labeled with "games_pano_browse," which sounds a lot like a standalone Play Games discoverability app. I would imagine it would function similarly to Nvidia's TegraZone - half games store; half platform advertisement. I suppose this could be something that is grafted onto an existing window, but right now, there are no layout files that use these strings. I'm really not sure if this is a standalone app or not. This one is a work in progress. 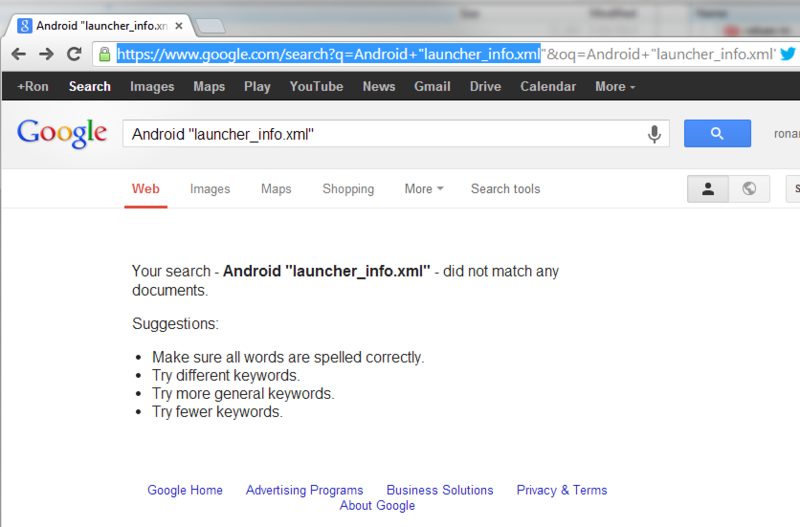 This is the complete text of "res/xml/launcher_info.xml" - a file which is completely new to the entire internet. I'm sure Google has since picked up on this article, but at the time of writing, a search for what this type of file is for produced exactly 0 hits. So, naturally, I have no idea what this is. It mentions "launcher," but this is definitely not the normal way to make a launcher icon. I also have no idea what is up with the "content://" line. Any ideas? There are strings for a "Games waiting room," which presumably is an extension of the lobby stuff I found in my original Play Games discovery. This looks just like a matchmaking lobby, you wait around for people to join, there are slots for players, invite buttons, a "ready" button, and auto-matching functionality. There's now a layout file for this, so this is much further along than the Play Games browser. Well, this should provide plenty of fodder for discussions in the comments - have at it.